Summer in Perth is here (fiiiiiinally), meaning it’s now time to kick back and relax with an afternoon cocktail, right? Right. We’re all about la dolce vita, so we had to take a seat (and a few deep breaths), when we found out that not one, but two, Aperol Spritz bars are popping up for the summer. Now we can finally relax the way the Europeans do—oh, and lucky for you, we know exactly where to find them. 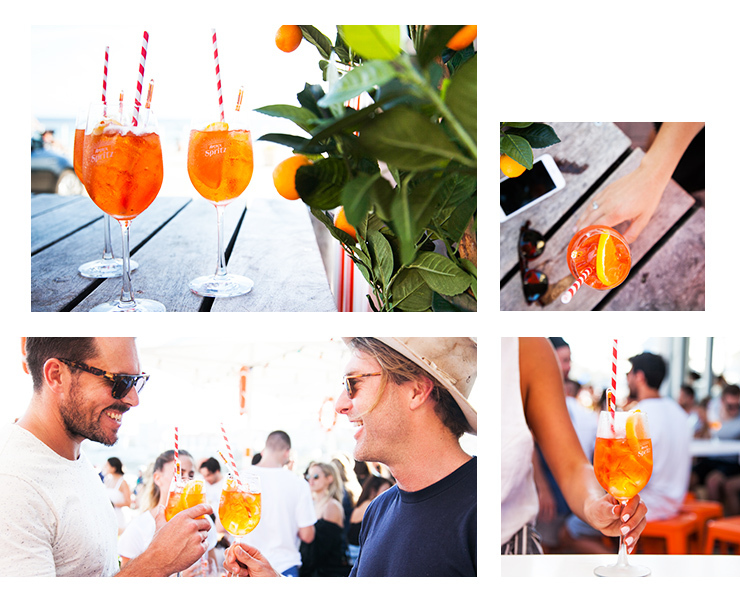 The only thing better than a pop-up garden bar is an Aperol pop-up garden bar by the sea. Every weekend until the end of January, Squires Fortune at Scarborough Beach will be serving up $12 Aperol Spritz so you can sit back, relax and soak up the sun (sans the sand). Get all the deets here. Sunset Sessions by Aperol Spritz will be popping up at The Hyde Park Hotel every single weekend through summer for the next two months. Spritz your way through to the end of the year with $8 signature Aperol cocktails and one hell of a garden party. Get all the deets here. As if things weren’t sweet enough, Aperol in partnership with the Australian Open are giving you the chance to get your hands on (AKA win) tickets to the Australian Open Final (is there anything better than the tennis come January!? Nope.) Plus, you’ll also score a Club Aperol prepaid card and Flight Centre voucher to cover your flights and accom’—you can find all the deets here.